And so to the Houston City Auditorium on that fateful Christmas night in 1954. 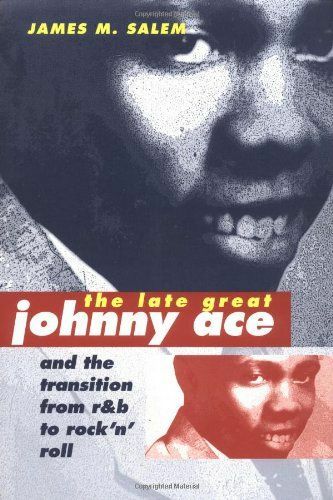 There had already been signs that the Johnny Ace bandwagon had been slowing down. His last release, "Never Let Me Go," had failed to make the top ten R&B sales chart although it did reach number nine in the Jukebox Plays chart. Johnnie's behaviour which had always been "ebullient" seems to have been becoming more and more erratic, especially with his latest enthusiasm - a seven shot .22 revolver which he would use to shoot out road signs and which he would also point at people around him and occasionally pull the trigger. 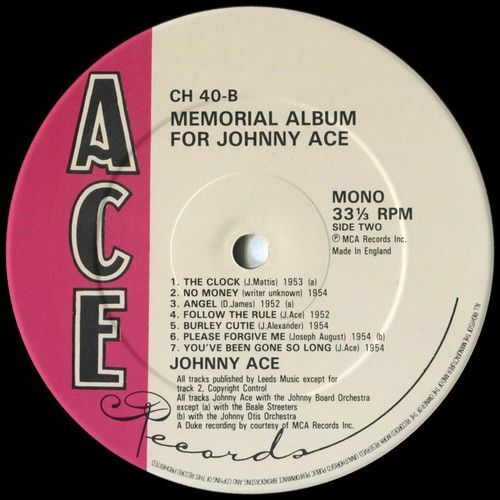 A Johnny Ace Special Edition of "Joan's 78s." 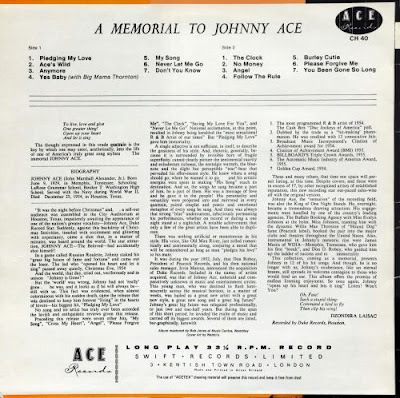 I couldn't resist doing this when I found not only rips of 4 Johnny Ace singles in Joan's files, but also a couple of "tribute" discs which were issued in the wake of Johnny's unfortunate demise as a result of accidentally shooting himself through the head backstage at the Houston City Auditorium during the interval of a Christmas Day concert / dance in 1954. And accident it was. It wasn't an organised crime hit or a jealous husband or suicide, but simply an act of monumental stupidity. I actually get angry whenever I re-read accounts of the incident for never was so much thrown away for so little. 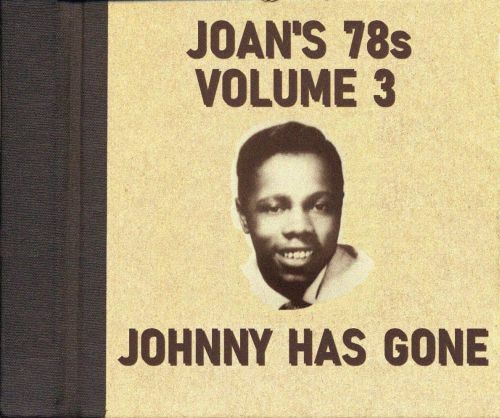 Johnny's greatest and mostly posthumous hit "Pledging My Love" isn't here and neither is the hit which launched his career, "My Song", but Joan has provided an excellent cover version of the latter by Hadda Brooks. Two of the rips, "So Lonely" / "I'm Crazy Baby", were pretty rough with volume fading out and in and although I tried several times to coax decent sound from the files, the results are noticeably inferior to the other cuts on this collection. I like to think that they are still listenable and therefore decided to include them. Savoy 1153 - Varetta Dillard - Johnny Has Gone / So Many Ways - released February 1955. 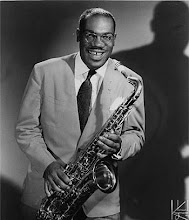 OKeh 6190 - Hadda Brooks - I Went To Your Wedding / My Song - released September 1952. 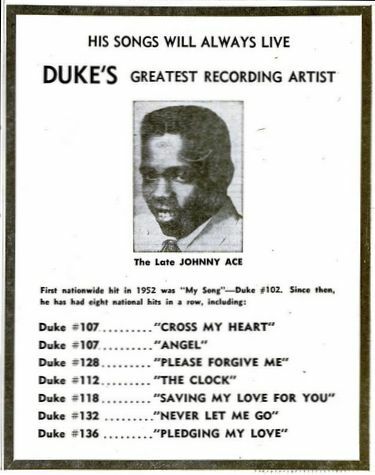 Duke 107 - Johnny Ace - Cross My Heart / Angel - released January 1953. Duke 118 - Johnny Ace - Saving My Love For You / Yes, Baby - released December 1953. 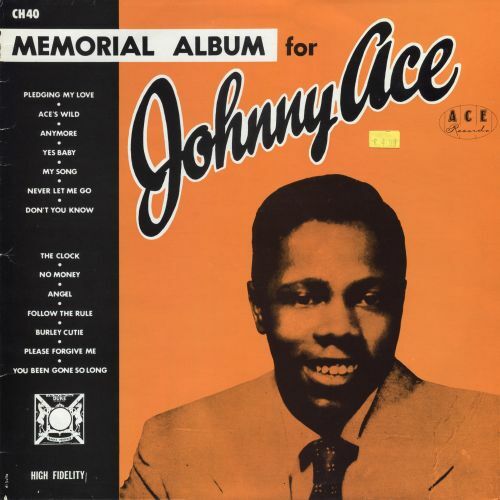 Duke 144 - Johnny Ace - Anymore / How Can You Be So Mean - released July 1955. 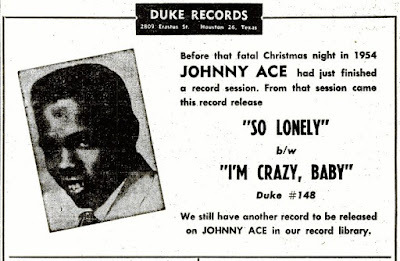 Duke 148 - Johnny Ace - I'm Crazy Baby / So Lonely - released January 1956. Hollywood 1031 - Johnny Moore's Blazers - Why Johnny Why (vocal - Linda Hayes) / Johnny Ace's Last Letter (vocal - Frankie Ervin) - released February 1955. Label scans from discogs.com, 45cat.com, YouTube and the Johnny Ace Webpage on the Vocal Group Harmony site. Thanks again to Joan for providing the sounds. 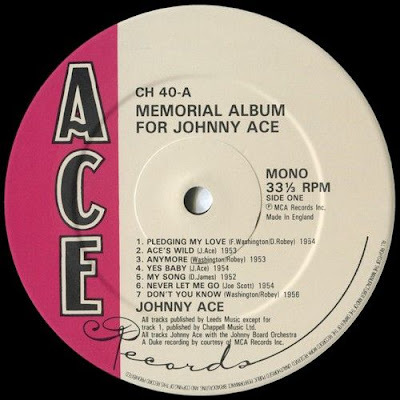 Stay tuned and hear more of the late, great Johnny Ace in Be Bop Wino's next post. OK rhythm fans, you got it. 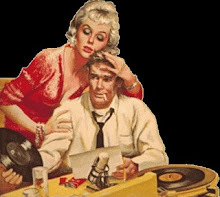 Back by popular demand, more shellac shenanigans, more lo-fi high jinks, yes, the return of Joan's 78s. 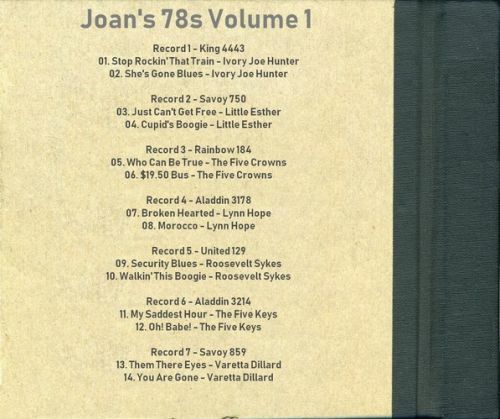 Another 7 discs carefully selected from Joan's old low bitrate transfers from 78 rpm records and run through Magix Audio Cleaning Lab by myself in an effort to boost volume, suppress hiss and eliminate clicks and crackling. All while trying to avoid distortion. I'll get the hang of it someday. 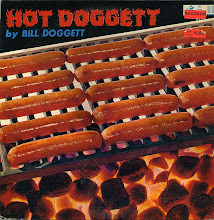 So download and enjoy the gospel style vocal group hollering of The "5" Royales, a Wynonie Harris disc that hasn't turned up on all that many compilations, a Preston Love offering that doesn't have Preston Love on it, fantastic and occasionally chaotic bumping, rocking and rolling from The Cardinals, sax stylings from J.T. 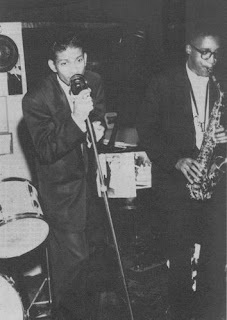 Brown backed by the Elmore James band, Tiny Kennedy's original Trumpet version of "Strange Kind Of Feeling" recorded at Sam Phillips' Memphis studio, and a couple of "covers" by The Cadets - a cleaned up version of "Sixty Minute Man" and a rather good version of Peppermint Harris's "I Got Loaded." The story of Preston Love's "Groove Juice" is told by Tony Collins in his notes to the Ace CD "Creepin' With The Cats - The Legendary Dig Masters Volume One." 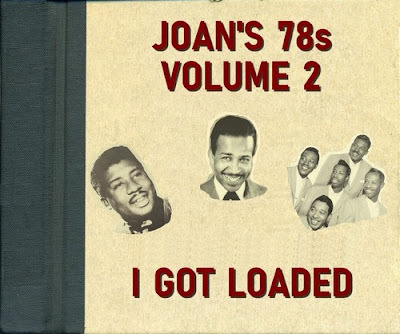 This track and other "Preston Love" sides on Ultra and Dig were recorded in L.A. by the Johnny Otis band without Preston who was in Omaha at the time. 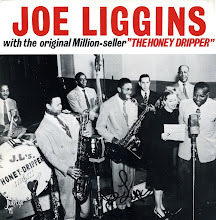 Ultra was owned by the Mesner Brothers and Johnny Otis but after 5 releases it became Dig. Anyway enough from me. Open up this latest 78 rpm album, crank up the turntable, and put the needle onto these big ten inchers. By the way Joan approves of this selection. Apollo 443 - The "5" Royales with Charlie Ferguson, His Tenor and Orchestra - Baby Don't Do It / Take All Of Me - released December 1952. 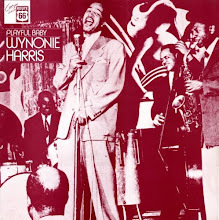 King 4415 - Wynonie Harris - Triflin' Woman / Put It Back - released January 1951. Ultra 101 - Preston Love and His Orchestra - Groove Juice / If You Ever Get Lonesome (vocal - Roy "Happy" Easter) - released February 1956. 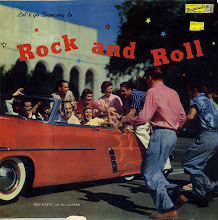 Atlantic 972 - The Cardinals - She Rocks / The Bump - released August 1952. 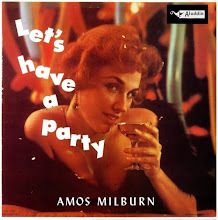 Meteor 5016 - Sax Man Brown, Elmo James Broom Dusters - Sax-Ony Boogie / Dumb Woman Blues (as J.T. 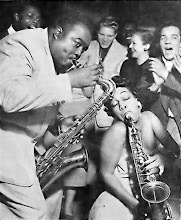 (Big Boy) Brown on Dumb Woman Blues) - released September 1954. Trumpet 187 - Tiny Kennedy - Strange Kind Of Feeling / Early In The Morning, Baby - released December 1952. Modern 1000 - The Cadets - Dancin' Dan / I Got Loaded - released September 1956. Issue information from www.45worlds.com, www.discogs.com, Billboard, and The Cash Box. Label pics from discogs.com and various record sales sites. 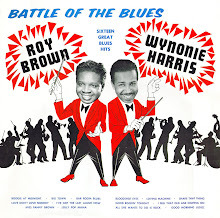 On the front cover, from left to right: Tiny Kennedy, Wynonie Harris, The "5" Royales. This is the last of the Musidisc re-releases of the Kent Anthology of the Blues series that I have. West Coast Blues was number 12 and the last in this series which explored the blues sides in the vaults of the Bihari brothers' Modern / RPM labels. This collection differs from the others that I have posted as it includes some really big R&B hits. 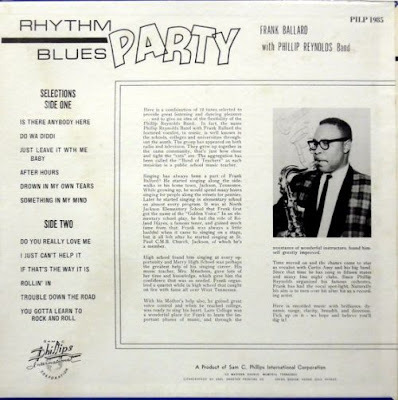 Pee Wee Crayton's "Blues after Hours" and "Texas Hop" were big sellers, making the higher reaches of the national R&B chart, as did Jimmy Nelson's "T 99 Blues." The J.W. 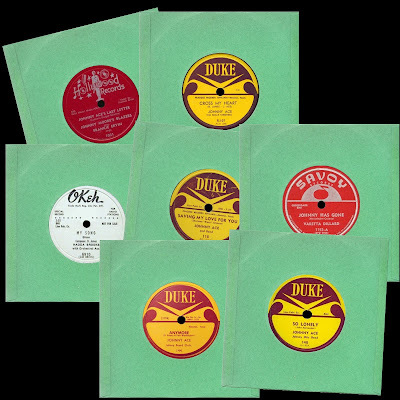 Walker ("Big Moose" Walker or "Moose John Walker") recorded for Trumpet Records in Jackson, Mississippi. The sides on this comp were recorded in St. Louis with backing provided by Ike Turner and therefore have no connection with the West Coast! One circumstance common to all the other artists on this record is that they had a Bay Area connection. 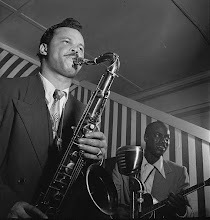 Pee Wee Crayton, for example, started his professional music career playing with Ivory Joe Hunter's band in San Francisco. Saunders King and Jimmy Nelson both lived in San Francisco and worked the local clubs there. Roy Hawkins was discovered by Bay Area record man Bob Geddins playing in a club in Oakland. 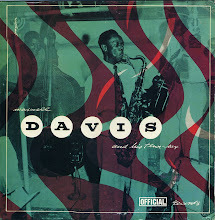 James Reed also recorded for Geddins, in fact it was the latter who sent the sides featured on this comp to the Biharis. Mercy Dee Walton cut his first record in Fresno (admitedly well south of The Bay) for the Spire label. 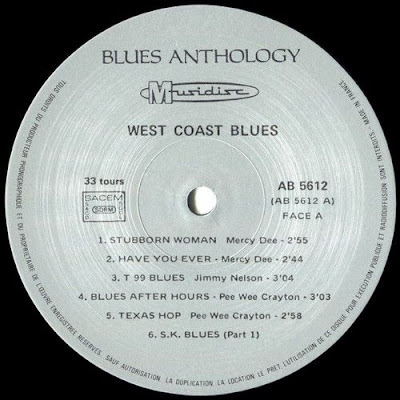 Mercy Dee - "Stubborn Woman" and "Have You Ever" recorded in Los Angeles in 1955. 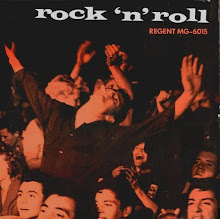 Released on Flair 1078 in November 1955. "Have You Ever" on this LP is probably an alternate take to the version on the Flair single. Jimmy Nelson - "T 99 Blues" recorded at the Clef Club, Richmond, California, in June or July 1951. Jimmy Nelson with the Peter Rabbit Trio. Released on RPM 325 in June / July 1951. Pee Wee Crayton - "Blues After Hours" recorded in Los Angeles in September 1948. Released on Modern 624 in October 1948. 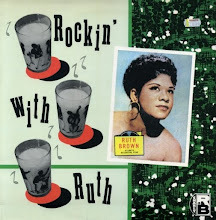 "Texas Hop" recorded in Los Angeles in 1948, released on Modern 643, late 1948. Saunders King - original version of "S.K. 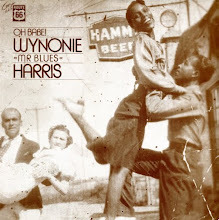 Blues" recorded in San Francisco, June 1942 and released on Rhythm 3. 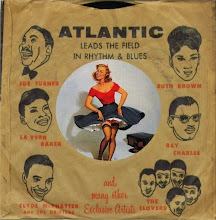 New version recorded in San Francisco in 1948 or 49 and released on Rhythm 302 as "Saunders Blues, Pts 1 and 2" in 1949. Reissued on RPM 375 as "New S.K. Blues Parts 1 and 2" in December 1952. 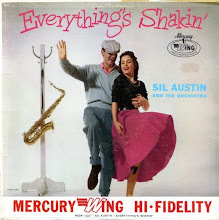 Also reissued on RPM 497 as "S.K. Blues, Pts 1 and 2" in 1957. As to which version is on this LP, I'm not sure! J.W. Walker - "Sitting Here Wondering" and "J.W. 's Blues" recorded in St. Louis, November 11th, 1955, with the Ike Turner band. 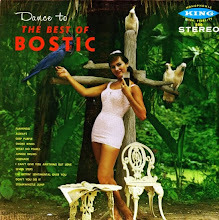 First released on this compilation. James Reed - "You Better Hold Me" and "Dr. Brown" recorded in Oakland in March 1954. With the Que Martyn Orchestra. Both sides released on Flair 1042 in July 1954. 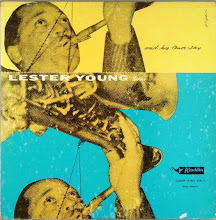 The version of "You Better Hold Me" released on Big Town 117 in 1955 is a different recording. Roy Hawkins - "Strange Land" was recorded in San Francisco circa 1948. Released on Down Town 2025 in April 1949. 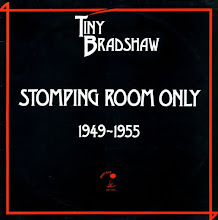 Remastered and reissued on Modern 693 in September 1949. 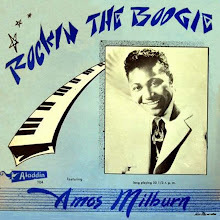 Every now and again fellow blues 'n' rhythm fans get in touch asking if I know anything more about such-and-such an artist who has appeared on the blog and very occasionally this leads to me coming up with a home made comp such as this one. 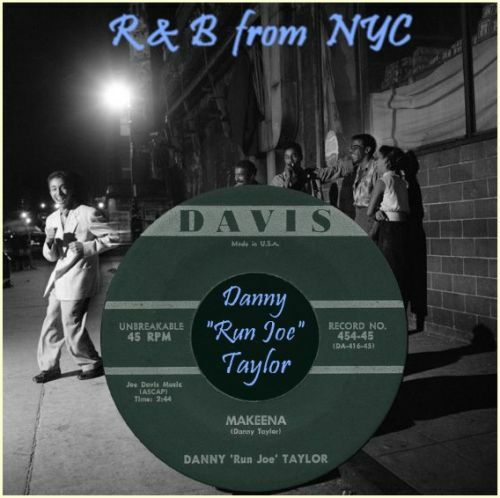 Four of Danny "Run Joe" Taylor's sides recorded for Joe Davis turned up on the "Listen To Dr. Jive" post from May last year and this led to an enquiry which in turn led to me trawling through my gramophone records, CDs and mp3s to come up with everything that I had on this undeservedly obscure blues shouter and song writer. This comp starts circa September 1951 when under the name of "Little Boy Blues" Danny recorded a vocal for the Champion Jack Dupree band on "Drinkin' Little Woman" (Derby 770). The other side of the disc had a vocal by Bobby Harris. 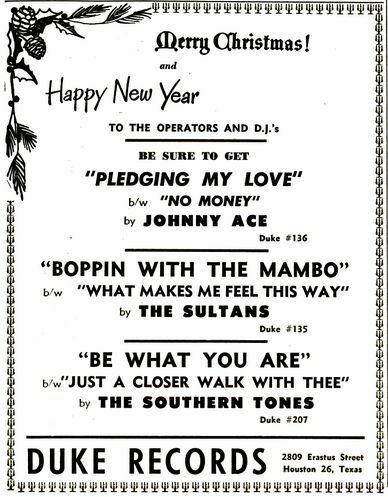 In February 1952 Danny recorded sides for the Wheeler label which was owned by bandleader Doc Wheeler. 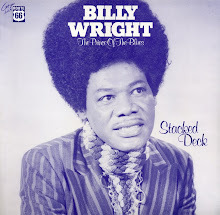 He was backed by a band led by former Doc Wheeler guitarist Leroy Kirkland. One single from the session was released - "Coffee Daddy Blues" / "Come On Home Baby" (Wheeler 105). 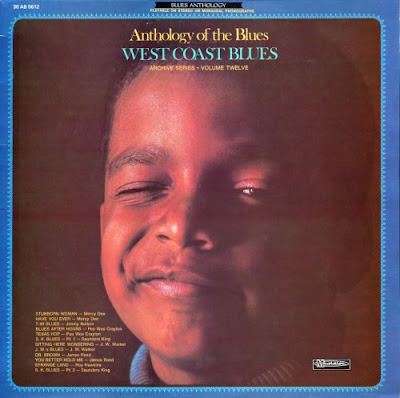 Unissued Wheeler sides were - "Blues Got Me Rockin'" and "Moanin' And Groanin' For You." The label was short lived and its masters were bought by Coral who re-released the single on Coral 65082. In June 1952 Danny and the Leroy Kirkland Orchestra recorded sides for Coral with two singles being released - "Sittin' Here Thinkin'" / I've Been Doin' It Too" (Coral 65097) and "Walkin' In My Sleep" / "Sweet Lovin' Daddy" (Coral 65101). One Coral side was not released - "Three Little Words." In 1953 he recorded an excellent single for Victor - "Gator Tail" / "You Look Bad" (Victor 47-5558) which was released in December of that year. 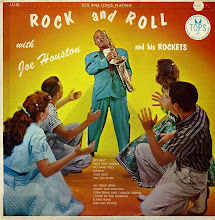 The backing band included Budd Johnson and Buddy Tate on saxes. 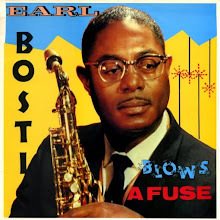 In October 1953 he was the vocalist on a Jesse Powell session for Federal. 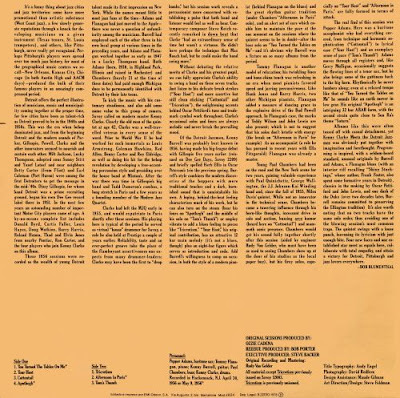 His two sides, "Love To Spare" and "Leavin' Tonite" were released on Federal 12159 and 12171 respectively with the other sides of the discs being instrumentals. In 1954 he recorded an answer record to The Midnighter's "Annie Had A Baby" - "I'm The Father Of Annie's Baby" / "Bad, Bad, Draws" appeared on Bruce 118. Danny was backed by The Shytans on both sides. 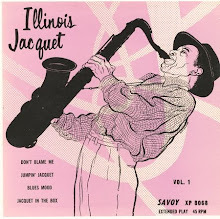 In 1955 he released a single on Saxony backed by the Louis Payne Orchestra - "You Ain't Crazy" / "I Know What I Want" (Saxony 101). 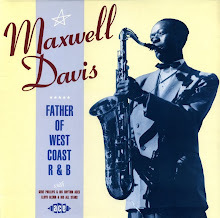 In 1956 he recorded a session for Joe Davis backed by a band which included Haywood Henry and Sam "The Man" Taylor. The released single was "Makeena" / "Ain't Nothin' Wrong With This World" (Davis 454). Two other sides, "Shoemaker Man" and "Will Ya Please?" were not released. 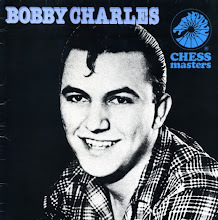 Two sides recorded for Chess in 1959, "Believe These Words" and "Mom And Pop" were also not released. 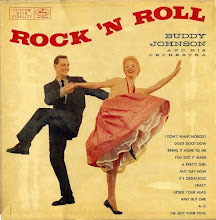 In September 1959 he recorded some sides for Memo backed by Buddy Lucas. For some unknown reason he was going under the name of "Little Eddie Mint." In November 1959 "Bring Yourself Back Here" / "Two More Days" was released on Memo 17921. A third track was recorded - "Don't Fall In Love With Me." According to Bruyninckx this was released on Memo 17911 with "Bring Yourself Back Here" but I haven't come across any other reference to it. In 1960 he was back to being Danny (Run Joe) Taylor again for a single on Jo-Par - "Things Are Tough"/ No One But You (Jo-Par 518). 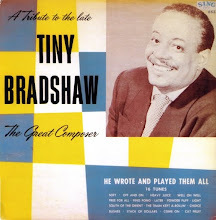 Also in 1960 he recorded a session as "Little Danny" for Sharp. "Your Precious Love" / "Mind On Loving" (Sharp 112) was released in November 1960. The latter was a soul style pleader with Danny, backed by Wild Jimmy Spruill on guitar, in very good voice indeed. Three other sides from the session were not released - "Stop Cheating On Me," "Tell It" and "Can't Help It." And that is where the trail runs cold. Bruyninckx says that he also recorded for Rim but has no more details. 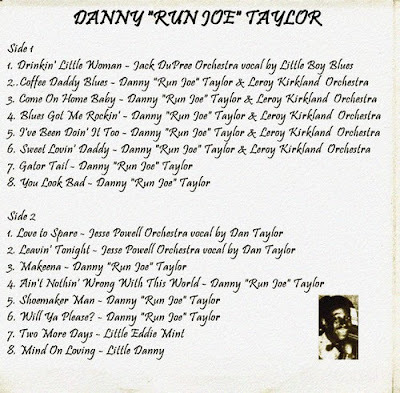 As for the ultimate fate of Danny "Run Joe" Taylor, I'm afraid I know nothing. 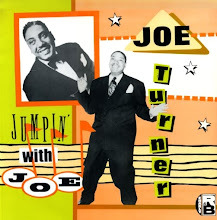 In fact I don't even know where the nickname "Run Joe" comes from. Perhaps these mysteries will be solved by readers of this blog? I was pretty impressed by many of Danny's sides and I hope that someday a reissue company will bring out a comprehensive collection of this fine singer's music. Perhaps the first of a new series? 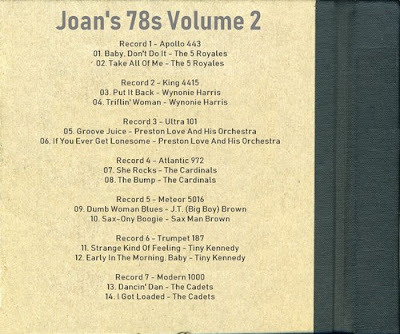 Back in the 1970s Joan came across a massive stash of unplayed 78 rpm records in the back room of a music shop in Hudson NY. For sale at one penny US each. Like something out of "American Pickers." Car filled and then a return visit for a second load. Third visit - some NYC collector had been in and emptied the joint. Never mind, loads of 1950s R&B, vocal groups, blues and country platters already in the hands of Joan. 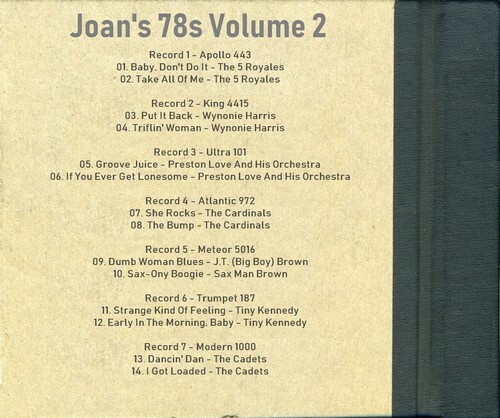 Fast forward to California in the 1980s and Joan archives the records on CD. Fast forward again and the music is transferred to digital files on computer, in low bitrates for this is in the days before you could buy 4Tb external hard discs. The collection was subsequently sold and all that remains is a bunch of low bitrate (128 kbps or less) M4A and MP3 files. A few weeks ago Joan asked if I would be interested in hearing these files. "Och aye," I replied and received 20 folders of 'em. Going on for 550 tracks. The M4As were pretty low volume while the MP3s were considerably louder with a bit of "presence" about them. All the files featured pretty heavy hiss and some crackling, but I was knocked out by the sheer accumulation of music. I found myself listening to some familiar sides, but there were dozens and dozens I'd never heard before. I've started putting them through the Magix Audio Cleaner software I use to rip vinyl and I think I've come up with a listenable selection. Please bear in mind these were all MP3s of around 128 kbps. After putting them through Audio Cleaner to get rid of the hiss I re-ripped at 320 kbps, but that doesn't improve the sound quality. 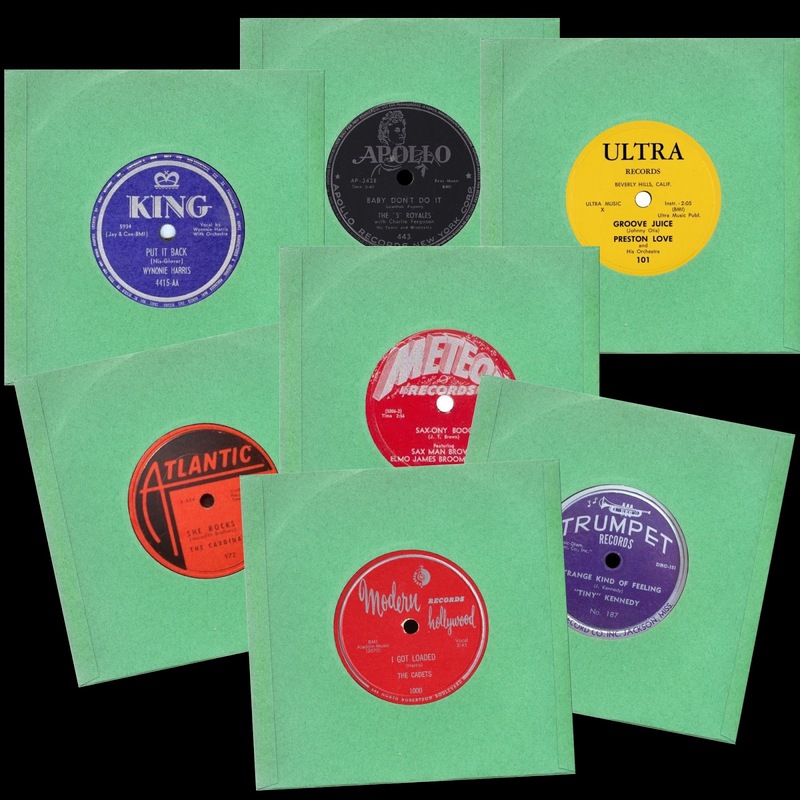 The files are presented as a 78 rpm album from before the days of LPs. These were "albums" in the sense that they had thick card or board outer covers and inside, contained in individual sleeves, were 78 rpm singles. I've cheated slightly, as from what I've read most such albums contained only 4 or 5 discs. So here we go. 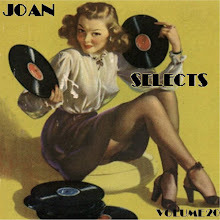 Let the virtual needle fall on the virtual shellac, sit back and enjoy a lo-fi selection, courtesy of Joan. King 4443 - Ivory Joe Hunter - Stop Rockin' That Train / She's Gone Blues: released April 1951. Savoy 750 - Little Esther - Just Can't Get Free / Cupid's Boogie: released June 1950. Rainbow 184 - The Five Crowns - Who Can Be True / $19.50 Bus: released November 1952. 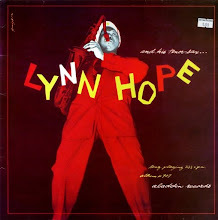 Aladdin 3178 - Lynn Hope - Broken Hearted / Morocco: released April 1953. United 129 - Roosevelt Sykes - Walkin' This Boogie / Security Blues: released October 1952. Aladdin 3214 - The Five Keys - My Saddest Hour / Oh! Babe! : released December 1953. Savoy 859 - Varetta Dillard - Them There Eyes / You Are Gone: released July 1952. On the front cover: Varetta Dillard, Ivory Joe Hunter, Lynn Hope. Labels adapted from discogs.com and various record sales websites. 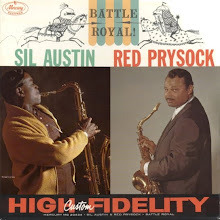 Thanks to contributor Marv for sending in this reconstitution of a 1962 LP on the Phillips International label which was owned by Sam Phillips. 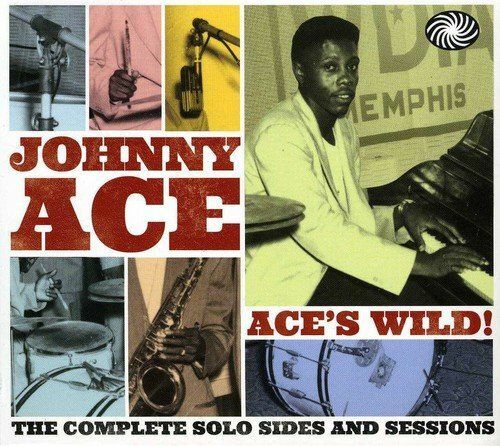 The entire album was recorded in one session at the Sam Phillips Studio, Madison Avenue, Memphis on the 18th March 1962. 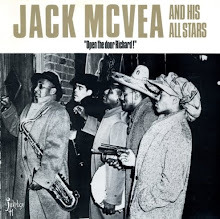 Personnel: Frank Ballard (vocals); Phillip Reynolds (tenor sax); Frank Reed (trombone); Clarence Render (trumpet); James E. Matthews (guitar); Kurl McKinney (piano); Ike Price (bass); Chester N. Maxwell (drums). We're a few years and a mile in style away from Sam Phillips' 1950s blues recordings made in his little Union Avenue studio. Launched in 1957, the Phillips International label was Sam's attempt at a more up market image and to back that up he opened a new suite of studios and offices at 639 Madison Avenue, a few blocks from his old premises, in 1960. 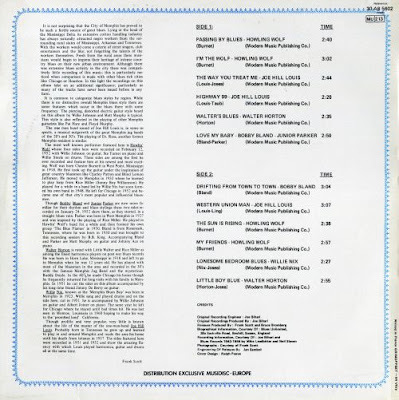 This LP was part of a short lived attempt to move into the long player market with 8 albums being issued, including platters by Bill Justis, Carl Mann and Charlie Rich. There was also an LP of Jimmy Reed influenced blues ,"Hey Boss Man!" by Frank Frost and The Nighthawks' which was closer in style to those great early 50s blues recordings that Sam had produced. 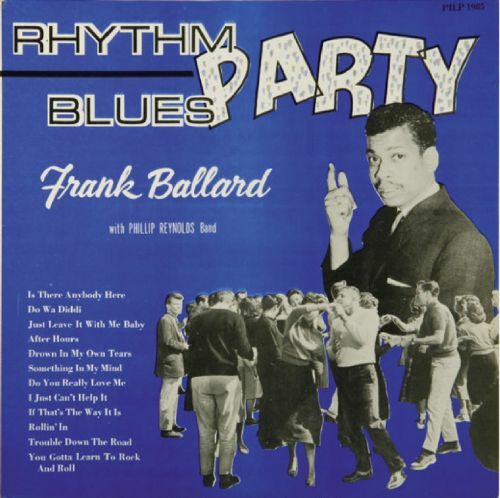 However this album by Frank Ballard is a collection of contemporary early 60s R&B / proto-soul, probably aimed at the listening and dancing pleasure of a fairly youthful audience. Frank Ballard and the Phillip Reynolds band were from Jackson, Mississippi where they seem to have been a popular local club act. 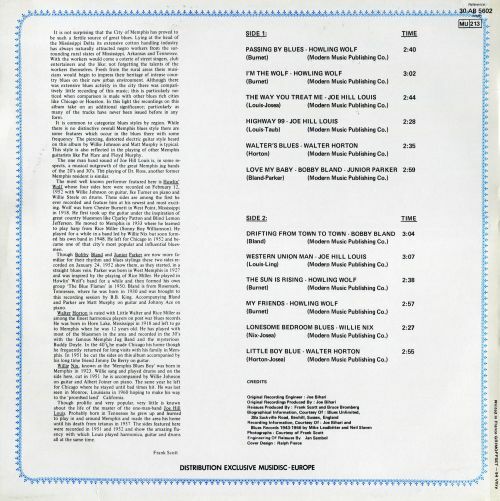 There is some information on their background and recordings for Phillips International on the 706 Union Avenue Sessions website and also on the back cover of this LP. 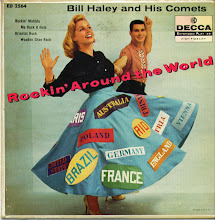 Interestingly, they recorded a further 24 tracks during 1962 for Phillips International which remained unissued. The Phillips International label was wound up in 1963 after a legal dispute with the Dutch company Philips Electrical who had begun to move into the U.S. record market having bought Mercury. 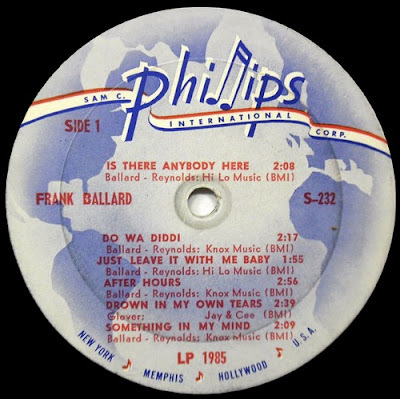 Their own Philips record label had been in existence since 1950 and they naturally contended that the newer Phillips International label would cause confusion. Many thanks to Marv for this contribution. Info from the 706 Union Avenue Sessions website and "Good Rockin' Tonight: Sun Records and the Birth of Rock 'n' Roll" by Colin Escott with Martin Hawkins. 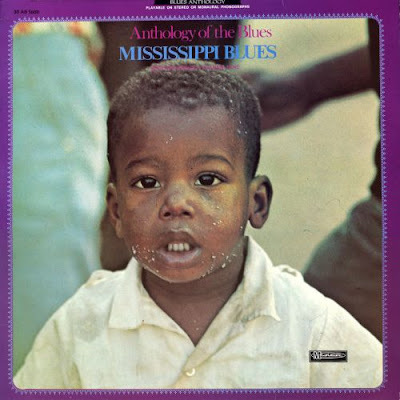 I've had a whole heap of fun reviving my decades-old copy of "Mississippi Blues" from the late '70s Musidisc reprint of the Kent "Anthology Of The Blues" series which was originally issued around 1969 - 1970. For a start I just had to re-read Ray Templeton's two part story of this series in "Blues & Rhythm" magazine (numbers 309 and 310, May- June 2016). Then there was the problem of trying to make sense of the dates and personnel details of the tracks from my usual info sources for this sort of thing - mainly Bruyninckx and in this case the 706 Union Avenue Sessions website. Unfortunately the info didn't quite hang together. I was getting a bit fed up with the whole thing, I mean it's the music that counts and do we really need to go into the minutiae of exactly who recorded what and where and when nearly 70 years ago? 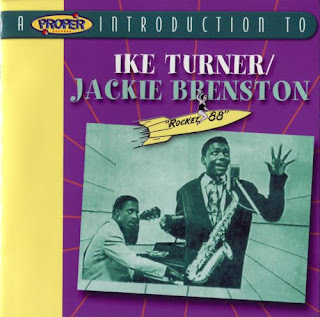 Then my enthusiasm was reawakened when I remembered that I had a copy of the CD in the series "A Proper Introduction To ..." and it was a CD which I didn't really enjoy when I bought it years ago - "Ike Turner / Jackie Brenston - Rocket 88." I've changed my mind, I now think it's a great collection. This 29 tracker is centred on Ike Turner's role as musician and talent scout in Memphis and beyond in the early 1950s. 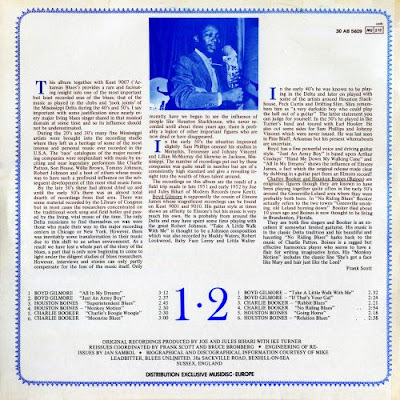 It includes the Ike Turner's Kings Of Rhythm tracks which were recorded by Sam Phillips and then released on Chess under Jackie Brenston's name, which led to the rupture in the relationship between Phillips and the Bihari brothers, owners of the Modern / RPM labels, who reckoned that they had been stiffed by Sam.The Biharis recruited Ike as a talent scout, arranger and backing musician and were soon bypassing their former source of Memphis blues by recording their own sessions with Ike in charge alongside Joe Bihari and his portable Magnecord recording machine. 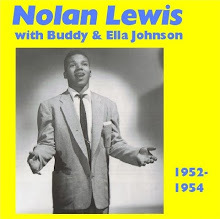 Starting in West Memphis in September 1951, they recorded Howlin' Wolf (who was simultaneously recording for Chess at Sam Phillips' studio) but soon took to the road for trips through Arkansas and Mississippi to record local blues musicians in makeshift studios set up in venues such as a music store, night clubs, and a Greyhound bus garage. This process is outlined in the excellent notes to the above CD which also includes a selection of recordings from these forays. 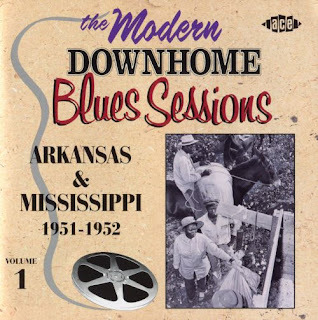 Artists featured on the CD include Drifting Slim, Baby Face Turner, and Sunny Blair from a March 1952 session in North Little Rock, Arkansas and also (and more relevant to the featured LP), Boyd Gilmore, Charlie Booker and Houston Boines who were recorded over two sessions which are the source of the tracks on this Anthology Of The Blues Collection. 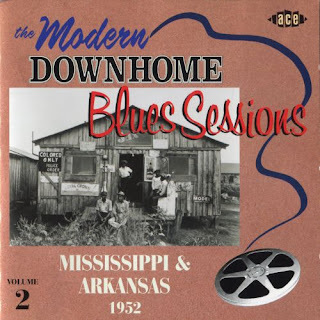 These Mississippi sessions took place on the 23rd January 1952 at the Club Casablanca in Greenville and in late March 1952 at the Greyhound bus garage in Clarksdale. 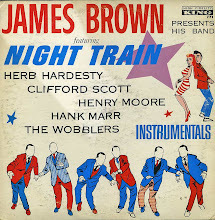 All of the tracks on this LP (with one exception) were released on singles in 1952 on Modern, RPM and Blues & Rhythm. This last was a short lived label which the Biharis founded as an outlet for their blues recordings but only seven singles were ever released on it. 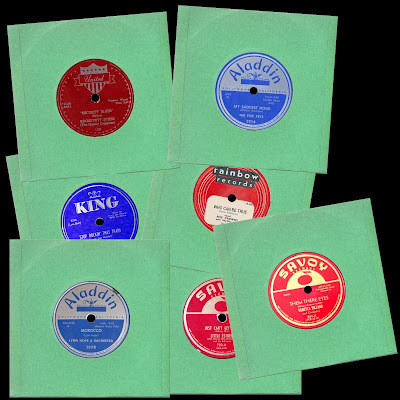 Two further Bihari labels, Meteor and Flair carried more of their blues recordings. It should be remembered that the purpose of these recording trips was to make records which would earn a buck. These weren't academic ethnological field trips. This stuff sold, as was noted in contemporary issues of Billboard. 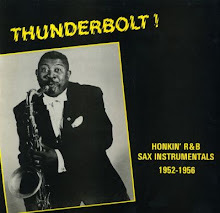 Electric amplification was transforming the formerly old fashioned guitar / harmonica blues and electric blues combos could now match the sax based jump bands both on stage and on the jukeboxes. 01. All In My Dreams - Boyd Gilmore - Late March, 1952, Clarksdale, Mississippi. Modern 872. 02. Just An Army Boy - Boyd Gilmore - January 23rd, 1952, Greenville, Mississippi. Modern 860. 03. Superintendent Blues - Houston Boines - Late March, 1952, Clarksdale, Mississippi. RPM 364. 04. Monkey Motion - Houston Boines - Late March, 1952, Clarksdale, Mississippi. RPM 364. 05. 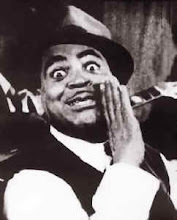 Charlie's Boogie Woogie - Charlie Booker - Late March, 1952, Clarksdale, Mississippi. Modern 878. 06. 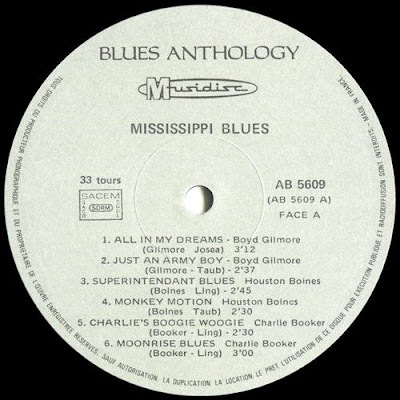 Moonrise Blues - Charlie Booker - January 23rd, 1952, Greenville, Mississippi. Modern 878. 07. Take A Little Walk With Me - Boyd Gilmore - Late March, 1952, Clarksdale, Mississippi. Modern 872. 08. 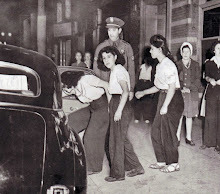 If That's Your Gal - Boyd Gilmore - January 23rd, 1952, Greenville, Mississippi. Not released. 09. Rabbit Blues - Charlie Booker - January 23rd, 1952, Greenville, Mississippi. Blues & Rhythm 7003. 10. No Riding Blues - Charlie Booker - January 23rd, 1952, Greenville, Mississippi. Blues & Rhythm 7003. 11. Going Home - Houston Boines - January 23rd, 1952, Greenville, Mississippi. Blues & Rhythm 7001. 12. Relation Blues - Houston Boines - January 23rd, 1952, Greenville, Mississippi. Blues & Rhythm 7001. 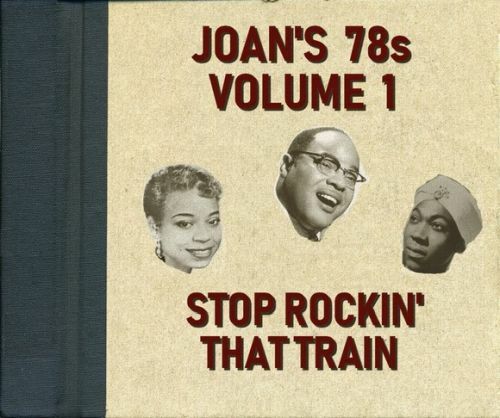 Boyd Gilmore (vocal, guitar); Ike Turner (piano); James Scott Jr. (guitar); Jesse "Cleanhead" Love (drums): Just An Army Boy; If That's Your Gal. 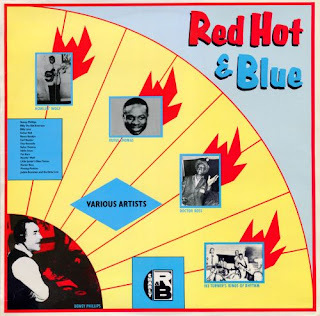 Charlie Booker (vocal, guitar); Houston Boines (harmonica); Ike Turner (piano); Jesse "Cleanhead" Love (drums): Rabbit Blues; No Ridin' Blues; Moonrise Blues. Houston Boines (vocal, harmonica); Charlie Booker (guitar); Ike Turner (piano); Jesse "Cleanhead" Love (drums): Going Home; Relation Blues. Boyd Gilmore (vocal, guitar); Ike Turner (piano), Jesse "Cleanhead" Love (drums): All In My Dreams; Take a Little Walk With Me. 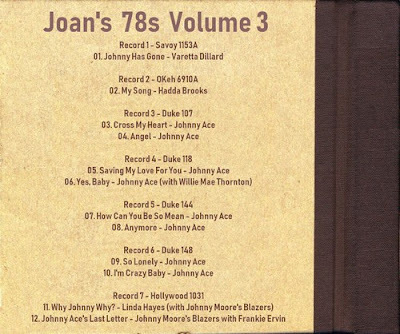 Note that All In My Dreams has intro and break by Elmore James from his Please Find My Baby spliced in. Charlie Booker (vocal, guitar); Ike Turner (piano); Jesse "Cleanhead" Love (drums): Charlie's Boogie Woogie. 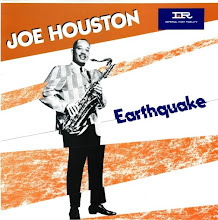 Houston Boines (vocal, harmonica); Charlie Booker (guitar); Ike Turner (piano); Jesse "Cleanhead" Love (drums): Monkey Motion; Superintendent Blues. All sides were released on singles on Modern, RPM, and Blues & Rhythm on unknown dates in 1952, with the exception of "If That's Your Gal" by Boyd Gilmore which remained unreleased until this collection. Houston Boines - Going Home / Relation Blues - Blues & Rhythm 7001. Houston Boines - Monkey Motion / Superintendent Blues - RPM 364. Boyd Gilmore - Ramblin' On My Mind / Just An Army Boy. Modern 860. Boyd Gilmore - All In My Dreams / Take a Little Walk With Me - Modern 872. Charlie Booker - Rabbit Blues / No Ridin' Blues - Blues & Rhythm 7003. Charlie Booker - Charlie's Boogie Woogie / Moonrise Blues - Modern 878. Hold it! We ain't quite done yet. Having been fired up by listening to the Proper CD collection, I decided to delve deeper and there was only one way to do that - buy the first two volumes of the Ace series "The Modern Downhome Blues Sessions." It's the only way to get the full, fascinating story of these Mississippi and Arkansas recording trips and what a story it is. We've already seen how the Memphis scene became a three way battleground between Sam Phillips, the Biharis, and the Chess brothers. Another blues war broke out as Joe Bihari encroached on territory which Lillian McMurry of Trumpet Records regarded as her own. 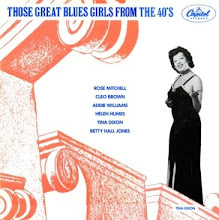 The tales told in the detailed and entertaining notes to these CDs almost defy belief as the formidable McMurry fought off attempts to poach her contracted artists such as Elmore James, Willie Love and Sonny Boy Williamson. 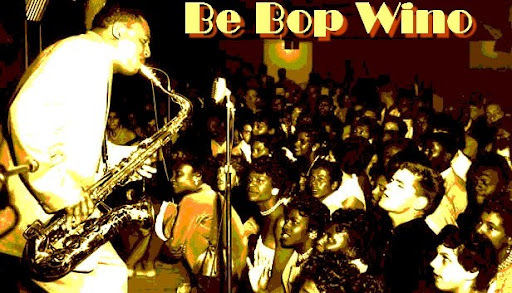 The Blues roll on here on Be Bop Wino ... but there will be more jumpin' jive along soon! 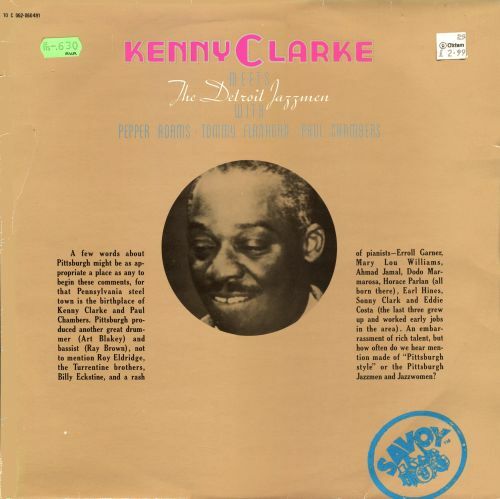 This LP was originally issued on the Bihari's Kent label around 1969/70 as part of the "Anthology Of The Blues" series which was later reissued on their budget United label and then on the French Musidisc label. I posted the two Elmore James LPs from this series back in 2016, leaving another 3 from the series to post, which I'll be doing over the next week or two. "Memphis Blues" follows on nicely from the previous post of Howlin' Wolf's recordings for Sam Phillips. This LP has 4 of the sides Wolf recorded for Joe Bihari and Ike Turner in West Memphis after the great fall out between Sam and the Biharis as recounted in the posts on Wolf and Rosco Gordon. 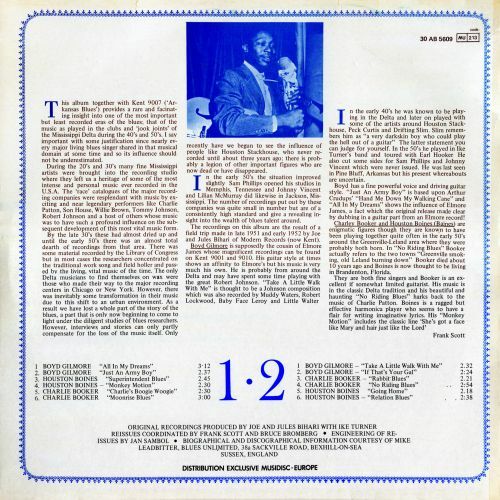 The first track on the LP, Wolf's "Passing By Blues," suffers from a woefully out of tune piano on which Ike Turner bashes away enthusiastically. Don't let that put you off because the rest of the tracks are pretty ace. 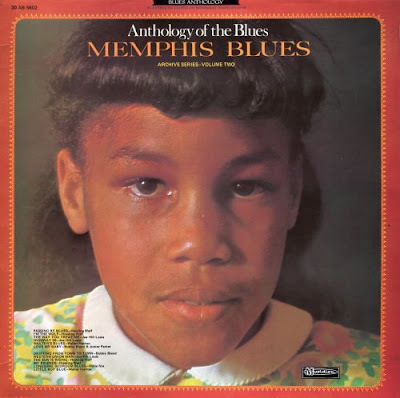 Many were recorded in 1951 at the Memphis Recording Service pre-dating the Phillips / Bihari dispute. Full details are below. "Passing By Blues" - recorded on October 2nd 1951, West Memphis. 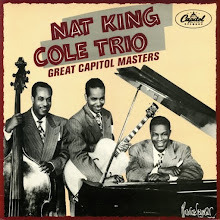 Released on RPM 340 in December 1951. Personnel - Howlin' Wolf (vocal, harmonica); Ike Turner (piano); Willie Johnson (guitar); Willie Steele (drums). "I'm The Wolf," "The Sun Is Rising" and "My Friends" recorded in West Memphis on February 12th, 1952. First released this album Kent LP 9002). Personnel as above, add unknown bass player. One man band - vocal, guitar, harmonica, hi-hat, bass drum. "Highway 99" and "The Way You Treat Me" - recorded on April 30th, 1951, Memphis Recording Service. First released on this album (Kent LP 9002). 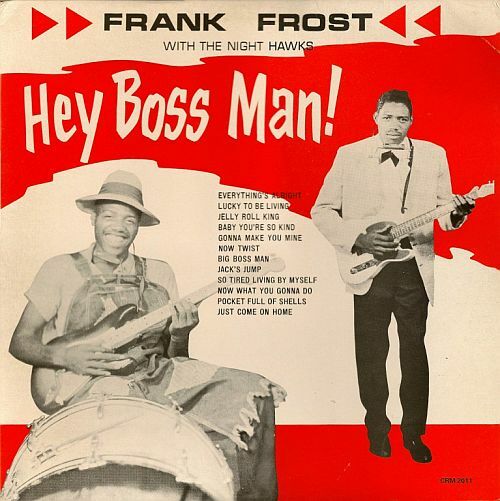 "Western Union Man" - recorded on February 24th, 1953 at the Meteor Recording Studio, Memphis. First released on this album (Kent LP 9002). Different take to version released on Meteor 5004 as by "Chicago Sonny Boy." 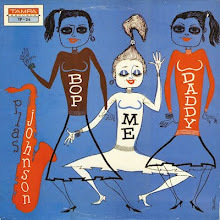 "Love My Baby" - recorded on January 24th, 1952, Memphis Recording Service. First released on this album (Kent LP 9002). Personnel - Bobby Bland (vocal); Junior Parker (vocal, harmonica); Johnny Ace (piano); Matt Murphy (guitar), Earl Forrest (drums). 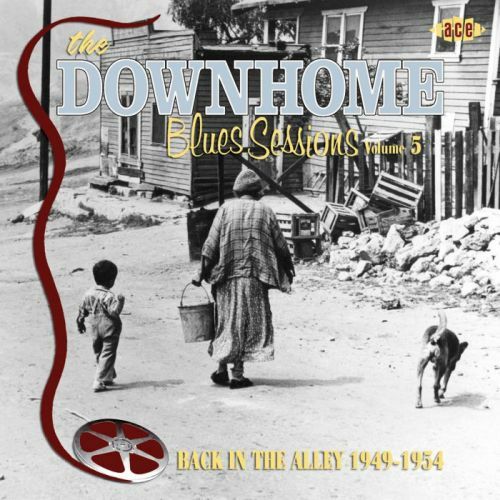 "Drifting From Town To Town" - probably recorded on January 24th, 1952, Memphis Recording Service. 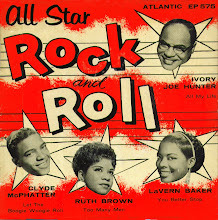 Different version to that released on Modern 868 in June 1952. Personnel as above. First released on this album (Kent LP 9002). "Little Boy Blue" and "Walter's Blues (I'm In Love With You)" recorded January or February 1951, Memphis Recording Service. 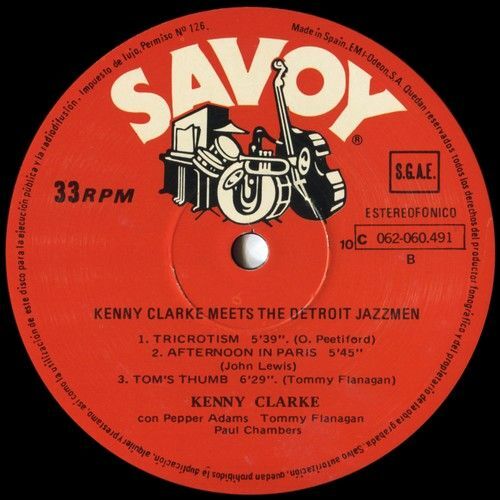 Both first released on this album (Kent LP 9002). "Little Boy Blue" is probably a different take from that released on Modern 809. 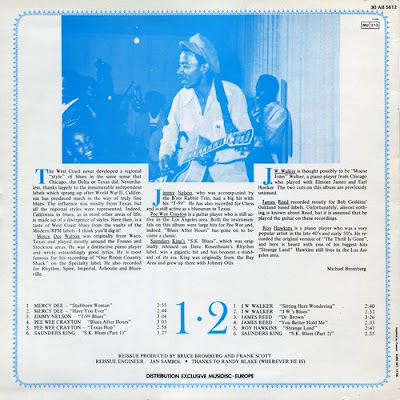 Personnel - Walter Horton (vocal, harmonica); Joe Hill Louis (guitar, percussion); Willie Johnson (guitar). "Lonesome Bedroom Blues" recorded in July 1951, Memphis Recording Service. 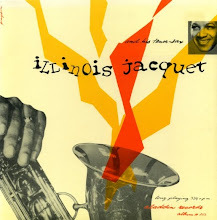 First released on RPM 327, Autumn, 1951. Personnel - Willie Nix (vocal, drums); Willie Johnson (guitar); Billy Love (piano). Blues sides released on Modern and its subsidiaries were packaged into a series of CDs by Ace (UK). 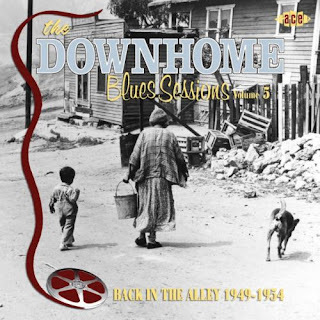 "The Modern Downhome Blues Sessions" ran to 4 volumes. 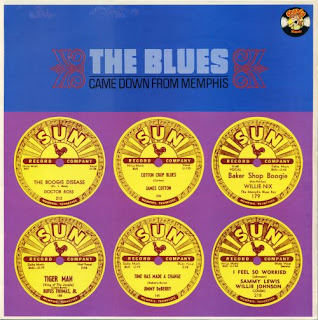 Volume 3 "Memphis On Down" was a 26 track collection which features some of the sides on this LP but now seems to be out of print. Try digging around! Still available from Ace as an MP3 download. 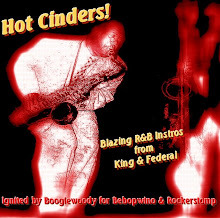 Grab yourselves some more of that Memphis blues sound!